Crocheting is a lot of fun! Would you like to learn to crochet? 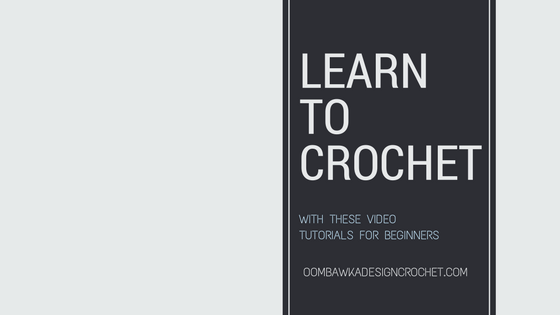 Here are some of the beginner crochet stitches you need to know in order to crochet. I start off with my Quick Crochet Stitch Guide which shows you each stitch in a short video. If you need more help though I have created longer videos for each stitch individually and they are included below the Quick Stitch Guide. Be sure to subscribe to the Oombawka Design Crochet YouTube Channel for new videos, crochet patterns and tutorials. This Lesson is designed as a quick reminder – so you can see how to make the basic stitches quickly! Without a lot of tips and tricks included. Also available for free are my: US Beginner Crochet Stitch Cheat Sheet and UK Beginner Crochet Stitch Cheat Sheet. 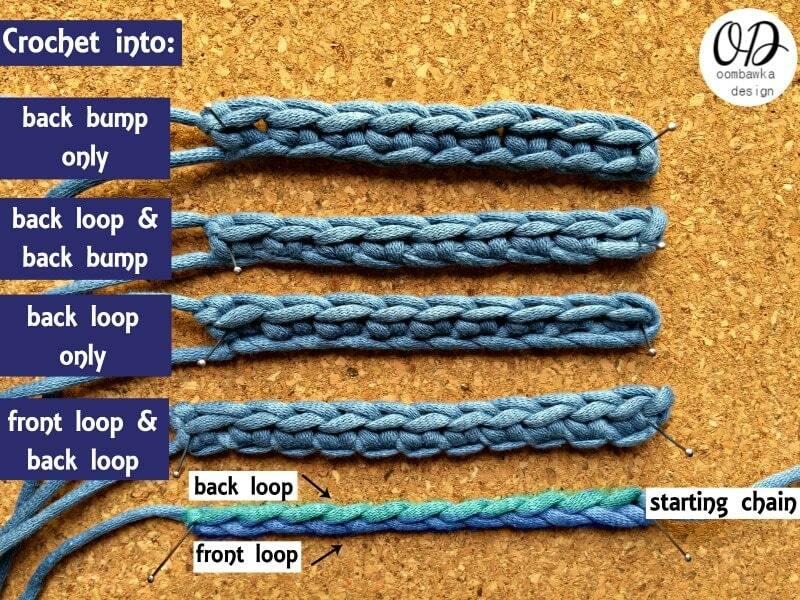 Learn how to make a slip knot and how to crochet your starting chain with this video tutorial. Tips and Tricks have been included! This video explores the beginning chain in crochet and shows you how by changing the loops (front loop, back loop and back bump) you work into, you can alter the look of your finished project. Tips & tricks are included for which method works best for specific project types. 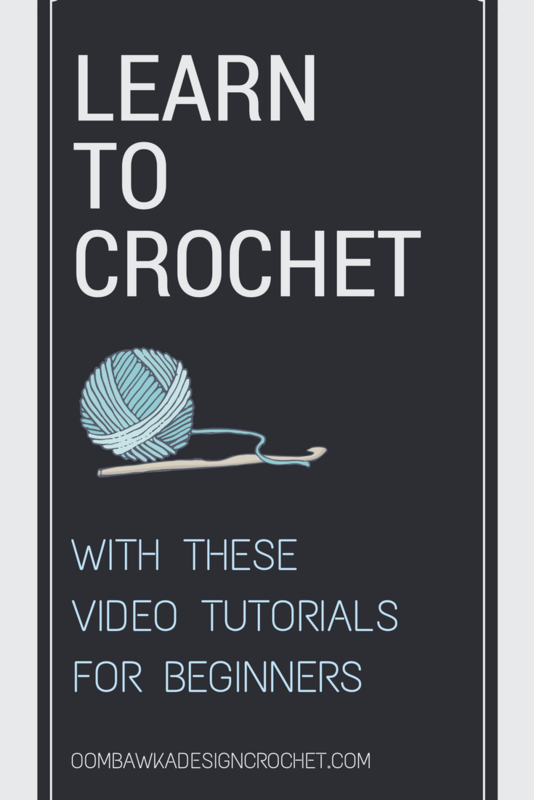 Learn how to crochet the single crochet stitch. Tips and Tricks have been included! Insert your hook under both loops (the front and back loop) of the stitch indicated; yarn over the hook and pull up 1 loop (you now have 2 loops on the hook); yarn over the hook and pull through both loops on the hook. Learn how to crochet the half double crochet stitch. Tips and Tricks have been included! Yarn over the hook, insert your hook into the specified stitch; yarn over the hook and pull up 1 loop. You now have 3 loops on the hook. Yarn over the hook and draw through all three loops on the hook. Learn how to crochet the double crochet stitch. Yarn over the hook. Insert your hook into the specified stitch; yarn over the hook and pull up 1 loop. There are three loops on the hook. Yarn over the hook and draw through two of the loops on your hook. Two loops remain on the hook. Yarn over the hook and draw through the remaining two loops. Learn how to crochet the triple OR treble crochet stitch. The triple crochet stitch is also called the treble crochet stitch. I learned it as “triple” but it is more commonly (and officially) called the treble stitch. The CYC uses Treble (tr). For the purposes of this video I refer to it as triple. (Old habits die hard!). Yarn over the hook 2 times. Insert your hook into the specified stitch and yarn over the hook. Pull up 1 loop. You now have 4 loops on the hook. Yarn over the hook and pull through 2 of the loops on your hook. You now have 3 loops on your hook. Yarn over the hook and pull through 2 of the loops on your hook. You now have 2 loops on your hook. Yarn over the hook and pull through the remaining 2 loops on your hook to complete the stitch. Learn how to crochet the slip stitch. Note: insert your hook under the top of the stitch, under the front loop and back loop of the stitch; unless otherwise indicated. Insert your hook into the indicated st, yarn over and pull it through the st and the loop on your hook.